Pope's BBC Radio broadcast to UK Jump to media player Pope Benedict's Christmas message for the UK was broadcast as Thought For The Day on the Today programme on Radio 4. Highlights of the Pope's UK visit Jump to media player The Pope has returned to Rome after his four day visit to the UK during which hundreds of thousands of people attended events and gatherings. 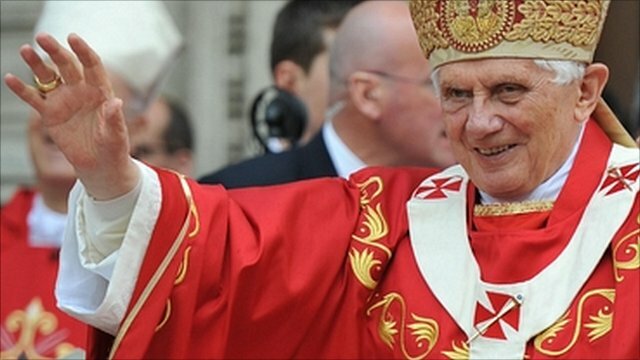 God is faithful to his promises but often surprises us by how he fulfils them, the Pope has said in a BBC broadcast. 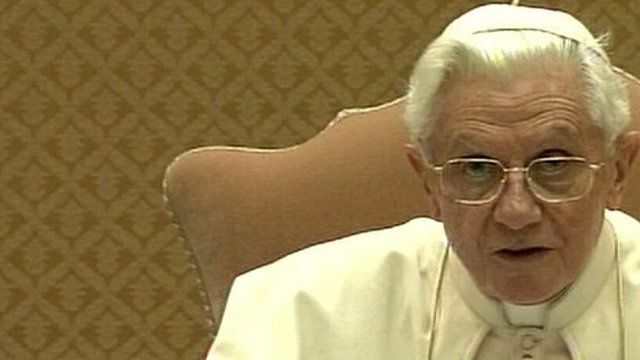 Pope Benedict's Christmas message was broadcast as Thought For The Day on the Today programme on Radio 4. In his message, he also recalled his recent UK visit with "great fondness".